Modern, cosmopolitan and super-glamorous are terms all brides are familiar with: Bridalwear need not be limited to the traditional. 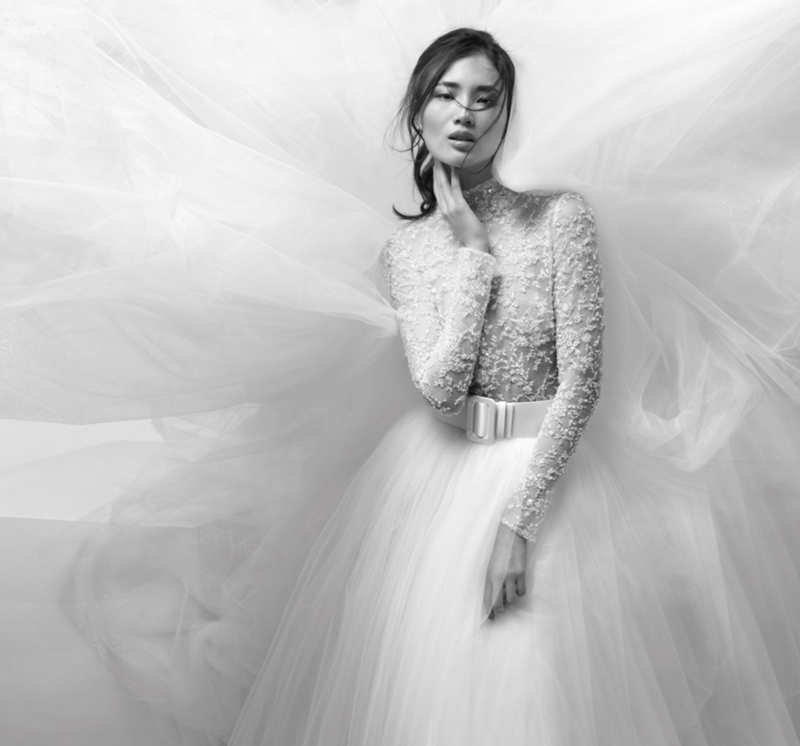 Join us as AP writes a new introduction about its own bridal ethos and its love of modern design - So you’re getting married and you want something different and stylish, You want to be that special bride you always dreamt of being. Move aside boys, the bridal tux has arrived and its about time. Blogger and influencer Chiara Ferragni has teamed tux with gown to create the an ultra modern look. Revolutionise the Princess Silhouette with contrasting tailoring and cinching belts. Hand crafted tailoring gives these gowns a grown-up feel, while the soft flowing tulle captures the romanticism of the day. Balanced between pretty and fierce this perfect juxtaposition is sure to turn heads. Play stylist with these magic and radiant combinations. Designed to draw in your natural waist, these gowns outline a very seductive and elegant bride. Feminine and tremendously sensual, these wonderful metallic and crepe brocades give these gowns an extra-special romantic touch. A classic fabric turned modern through cut and finish - each gown achieves a very trendy and surprising look.